Zero Hour Contract Mortgages Availability? The latest findings from the Office of National Statistics show that 2.8% of the UK workforce is on zero hour contracts. That’s up from 0.8% at the end of 2000. The figure is now representative of 905,000 people working on zero hour contracts. An unconventional income makes you a sort of misfit for certain lenders using automated screening processes. If you’re one of those on a zero hour contract then what you need is a lender who does manual underwriting and those are often in the form of Contractor Mortgages / Mortgages for the Self-employed, even though, technically you aren’t. There are some smaller building societies that will take this approach as well, so having a zero-hour contract won’t necessarily mean you need a specialist lender. It will when you have impaired credit though. Regardless your situation, your successful application rests in your ability to approach lenders prepared. To help you prepare for a mortgage application, use the five-steps outlined below to get everything in order that’ll see you with the best possible chance of having your mortgage approved. If you’re approaching lenders with close to 18 payslips – enough to cover your employee earnings for the past 18-months – it’s going to be difficult for them to dispute that you’ve a regular and stable income. While zero hour contracts are considered controversial by some, there is an element of flexibility involved. Some people are more than happy to work with flexible contracts that allow them to pick and choose when they work and some will take advantage of that to work other jobs. Perhaps two or more zero hour contracts or they will fill some gaps with agency work. This can see you with more than one payslip per pay week. Only your main employment will be considered for a mortgage application and not the random hours picked up elsewhere. However, a P60 is what HMRC will issue you with every tax year and that will provide the evidence of earnings you need to provide to lenders for income assessment purposes. This will detail all the employee earnings you’ve earned during the financial year. When applying for a mortgage when your employment contract has no guaranteed hours, it’s ideal to have your last two P60s to prove the last two years of earnings. There are situations when your hours and earnings may not be sufficient to meet the affordability criteria, but if you factor in the amount of payments you get from Child Tax Credits and/or Child Maintenance, it would make your home loan affordable… then it’s finding a lender that will accept those as part of their lending criteria. Not all do. There are lenders who will accept Child Tax Credits as part of your income assessment, provided the payments will run for the duration of the mortgage term. For Child Maintenance, some lenders will accept them whereas others view them as an unreliable source of income, unless there is a court order in place. The best course of action when you have unconventional earnings, yet know you can afford the repayments on a mortgage is to work with a mortgage broker. The main reason for this and the benefit to you is that they have first-hand knowledge of each lender underwriting procedures. Halifax mortgages are one example as they do accept Child Tax Credits as part of the acceptable lending criteria. It should be noted though that there are changes taking place with the rollout of Universal Credits. When your Tax Credits switch over to the Universal Credit, they will not be acceptable for the affordability assessment. For that reason, if you’re planning to remortgage or get a first-time mortgage and your circumstances would require you to use your Tax Credits, it’s in your best interest to move fast because once Universal Credits rollout, it will narrow your selection of lenders significantly. That is if any lenders will accept them, which at the time of writing (July 2017), remains unknown. Lenders will want to know your fixed monthly outgoings so it will help to know your figures to prevent you being taken by surprise. Insurance costs for car insurance, pet insurance (if applicable), life insurance policy premiums and your expected buildings content insurance for the new property and any existing home contents insurance costs if applicable. These are accounted for as fixed monthly expenses. One thing to note about pensions is that you can find yourself being asked when you plan to retire. The reason for this is the average term for a mortgage is 25-years. If you plan to retire before your mortgage is repaid, lenders need to make sure that you can not only afford the repayments just now, but right through to the completion of your mortgage term. Pension contributions are assessed differently by different lenders. When you’re on a zero-hour contract, it’s your total earnings that matter for auto-enrolment. If your earnings from your employment are under the £192, it may be that you’re not enrolled in your employer’s pension scheme, in which case you would need to have your own private pension arrangements in place for your retirement. That’s for you. Lenders don’t always view this is as a necessity but will instead want to know you’ll remain working until your mortgage is cleared. In terms of the lenders decision, some will view your pension payments as a committed fixed monthly expenditure, whereas others would view as positive financial planning and look more favourably towards future lending knowing that once you retire there will be payments there to help you afford your mortgage repayments, if that’s going to be a factor for the duration of your mortgage term, such as retiring within the next 25-years. For all mortgage applications, you’ll be required to provide at least the last three months bank statements. Some lenders will ask for six months though. There’s more assessed on these than your total income and expenditure though because your bank statements can reveal a lot about you and your lifestyle. As an example, five Contactless Card transactions showing J.D Wetherspoon (pub/restaurant) for a total of £110.12 for an evening out, this could indicate that you’ve an expensive social life. It’s also going to reveal your reliability for repaying existing debts and other financial commitments. One of the obvious things lenders will look for is bounced transactions such as Direct Debits or Standing Orders not being paid due to insufficient funds, especially if the funds were there and spent irresponsibly. If you have an overdraft, try your best not to use it. Lenders know that these are inevitable at certain times of the year such as during the festive period, but if you’re continually using your overdraft, it can be indicative that you’re not living inside of your means. The most important thing to do is review your current credit commitments because your bank statements will show regular payments and you may be asked about them. Don’t understate your debt. Lenders hate non-disclosure of any sort, and when it comes to debt, you don’t want to be considered as trying to play down your debt-to-income ratio in an effort to game the system. Add up your total debt commitments, and be truthful with your applications. If it’s high, it’s high. 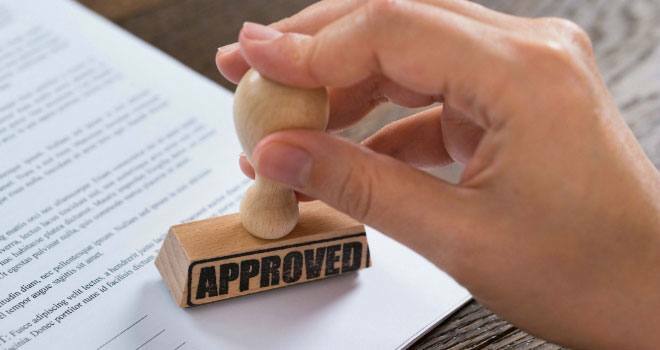 Lenders can work with that better than they can a dishonest applicant, which it’s easier for them to just reject your application and move on. Keep it clean, keep it honest, and above all, approach it prepared. Regardless of your employment status, mortgages are assessed on affordability and risk. Prove to lenders you can afford the repayments, and you spend responsibly and you can influence how a lender perceives your level of risk to be. Your bank statements and proof of income can reveal a lot more than your credit files do for lenders.